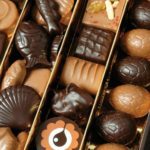 Thinking about heading to the Fitness Show this year? We’ve got you covered with this handy guide on what to expect from the 3-day event! 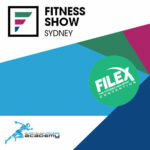 The Fitness Show is Australia’s largest fitness and health event that brings together businesses and professionals from across the entire industry. From fitness educators like ourselves right through to clothing brands, supplement companies, gym networks and much more, you’ll be able to immerse yourself in everything that the industry has to offer. Best of all, you’ll be in attendance alongside like-minded fitness fanatics and have the opportunity to build your network. International Convention Centre (ICC) in Darling Harbour, Sydney. AFA will be located at stand N28 (see below). Friday, April 12th to Sunday, April 14th. The expo opens at 10:00am and closes at 5:00pm each day. You’ll be able to see, try and buy a range of things at the Fitness Show. The key thing is to identify all the things you’re keen on and then to give yourself enough time to get to it all. Active: This is where AFA is located, so be sure to come and say his to us. You’ll also be able to shop your favourite fitness brands including, Lorna Jane, YoPRO, Tropeka and many more, as well as enjoy free seminars and cooking demonstrations. Click here for more info on the Active zone. Industry: This is where members of the fitness industry can explore an exclusive new section on the Friday and Saturday, where you can host meetings and expand your network in an Industry lounge, take part in strength, functional and group training classes in the Practical Arena, and explore the latest gym and fitness equipment. Click here for more info on the Industry zone. Strength: This is where you can meet famous bodybuilders, take part in strength & conditioning workouts and competitions, try the latest supplement products, battle it out in the Calisthenics Playground and even watch an amateur boxing competition. Click here for more info on the Strength zone. To see the full timetable, click here. Luckily, if you’re a current or former student of AFA, you get FREE access to the event (excluding the Industry zone). Head on over to this link and email [email protected] to get your exclusive promo code for 1 x FREE ticket to the Fitness Show. Remember, we’re located at stand N28 in the Active zone. We can’t wait to see you!